President Muhammadu Buhari’s declaration to seek re-election in 2019 has thrown up reactions with some experts weighing in with their views, The Punch's GBENRO Adeoye writes. Election is generally considered to be critical to the success, failure or existence of the entity involved. It is seen as a civilised process of choosing leaders and integral to the sustenance of democracy. But in Nigeria, it is as if the election has taken on a new dimension that is akin to warfare considering politicians’ desperation to win at all cost. So it is not surprising that many elections in the past have been marked by violence, rigging, and intimidation. Already, the countdown to the next general elections is on and with the recent declaration by President Muhammadu Buhari of his intention to seek re-election into office in 2019, it seems to be gathering momentum with each passing day. 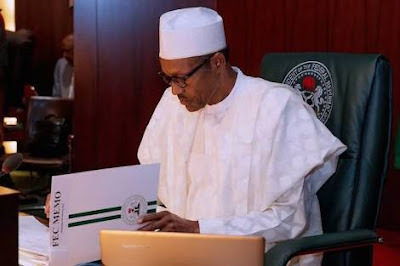 During the week, at the National Executive Committee meeting of the ruling All Progressives Congress, President Buhari had announced his intention to seek re-election in 2019, saying he was urged by Nigerians to do so. Up until that time, 75-year-old President Buhari had kept his cards close to his chest. Even on March 1, when his party, the APC, had passed a vote of confidence in him, denying that it was not the same as endorsing him for a second term, the President had remained silent on the issue, keeping some people guessing. However, stressing President Buhari’s right to seek re-election, the President, Committee for the Defence of Human Rights, Mr. Malachy Ugwummadu, noted that Nigerians should understand that he was qualified to do so. “By the express provision of Section 131 of the 1999 constitution as amended, the incumbent President is eminently qualified to seek election as a candidate in the forthcoming election because essentially, the provision raises some benchmarks that must exist for you to be qualified to contest. “One of them is that you must be a citizen of Nigeria by birth. Two, you must have attained the age of 40 years. The third one says you must belong to a political party and your election must be sponsored by that party and then you must have an educational qualification of up to at least school certificate level or its equivalent. That is to put to rest any speculation as to whether he qualifies or not from the standpoint of the law,” Ugwummadu, who is also a lawyer, said. Basically, the President’s declaration has also put to rest the uncertainty surrounding his political ambition, but interestingly, it has thrown up public reactions and controversies over whether he has done well to deserve a second term in office. And Buhari’s promise to fight corruption, insecurity and unemployment during electioneering has provided the public with a benchmark for assessing his administration’s performance so far. Some experts have also weighed in with their views on the President’s performance following his declaration to seek re-election. Although his party has not stated that it will shut out other candidates from contesting against the President, political analysts have said that the declaration alone will have implications on the polity. instance, a lawyer and political analyst, Mr. Liborous Oshoma, said the President’s declaration would have an effect on governance, adding that it could also lead to the defection of politicians interested in the presidency from the APC. “If some people in his party that want to take a shot at the presidency find out that they will not have that opportunity on that platform, they might defect to other parties like we have got used to seeing them do. “Secondly, we saw the sycophancy in government even before his declaration. For instance, we saw how the Minister of Communications, Adebayo Shittu, took caps to the Federal Executive Council meeting to distribute there. These are distractions from serious issues and governance. “If only we were the kind of people that divorced politics and campaigns from governance, his declaration wouldn’t have meant anything, but since we are not, with the declaration, which I consider to be early, what we will have is that governance will take a back seat to sycophancy and people trying to impress Mr. President. People are going to be falling over themselves to see how they can try to polish his credentials,” he said. On whether the APC would have a brighter chance with Buhari as its candidate, Oshoma said so much would depend on the electoral body – the Independent National Electoral Commission. He said, “It depends on the transparency in the electoral body. If there are transparency and accountability on the part of the electoral body, I think it will not be fair for the party to take Mr. President as its sole candidate. It should expand its scope and look at other options that it has against the backdrop of the fact that there are so many complaints against Mr. President’s actions and inaction. “You can’t isolate political parties from the conduct of INEC. Before now, they knew they could manipulate the process. That is, if elections were transparent and the complaints we hear from Nigerians on the street are anything to go by, then the party should widen its scope to search for more candidates and look for who is the most credible. But if not transparent, then the party can beat its chest and say it would win, even with Mr. President. Similarly, a United Kingdom-trained criminologist and security expert, Mr. Pedro Ayandokun, who was of the view that President Buhari had not “performed well” in fulfilment of his promise to fight insecurity, noted that such scorecard could cost him his re-election bid should his party present him as its candidate. “Whatever gains he has had with the fight against Boko Haram, the herdsmen killings across the country have brought that down; that has brought his rating down. So because of the level of insecurity in the country, Nigerians may not vote for him should his party put him up again as its candidate. It can cost him his bid to return to office. He has to get rid of tribal sentiments. He must ensure that our borders are being policed very well and he will need to assure the populace that he will fight insecurity without tribal and political sentiments. “So far, I won’t say he has performed well because the resources to perform are not adequate and the zeal and determination to perform are not there. Then the tribalistic sentiments are also there, so I cannot say he has performed very well. I will just say he tried to show people that he performed well whereas it is not so. “We can see Fulani herdsmen fighting farmers all over the country and it was not as bad as this before. So he concentrated so much on the fight against Boko Haram while the herdsmen were busy causing problems all over the country. And some people believe that because they are Hausa-Fulani, then they can do anything they like,” he said. Speaking on how Buhari’s administration had fared in improving the economy and generating employment, Prof. Sheriffdeen Tella of the Department of Economics, Olabisi Onabanjo University, Ogun State, who decried the delays in the passage of budgets and the effects of herdsmen attacks on agriculture, noted that the government would continue to have challenges generating employment if the situation continued. Tella said, “The economy has been in recession for a long time and we are just coming out of it. When you are coming out of recession like this, the prospect is that if it quickened, employment could be enhanced. So there is the need for him to find a way of managing the National Assembly to make the process of budget passage faster. It is important because, in Nigeria, it is the government spending that drives the economy unlike in a place like the United States where the private sector, on its own, can drive the economy. “So it must be passed in time. If there are 12 good months to implement the capital aspect of it, it will engineer employment. It will also assist the business sector to plan and execute its plan on time. The government said it was working on agriculture but when people have land where they plant crops and some herdsmen are disturbing them and destroying their farms and crops, definitely the sector will suffer. “There is the need for him to ensure that the problem of herdsmen is solved so that the output from agriculture can also increase. When that happens, it will lead to some level of employment too because the sector feeds the industries with raw materials. Before President Buhari came into office and during the time he has been in office, there is arguably nothing he and the APC have spoken more passionately about than to fight corruption and bring corrupt persons to justice. Ugwummadu, however, described the President’s performance in the fight against corruption as a mixed bag of good and bad. He said, “President Buhari and his team rode to power on the crest of those three cardinal issues- fight against insecurity, the economy, essentially focusing on employment and then the anti-corruption war. “I’m looking at where we are coming from as regards the fight against corruption. What became dangerous for the security of this country was the impunity with which some people were doing it (abusing their office), but however beautiful the policies are, until you are able to translate all of those to food and jobs in the homes of the ordinary man and woman, it is still at the theoretical stage. And it is on that score that the government would be asked to step up its game. “There is a huge contradiction in the expectations that institutions created by the government can indeed be mobilised to police the government. And that is where the challenge has always been,” he said.